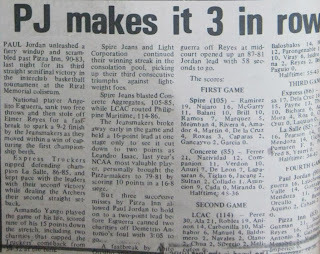 In the elimination round of the National Seniors tournament, Paul Jordan defeated Congrete Aggregates, 112-95; Maisan, 102-82; Zest-O, 84-77; Philippine Constabulary, 114-97; and Talon Zipper, 88-83. 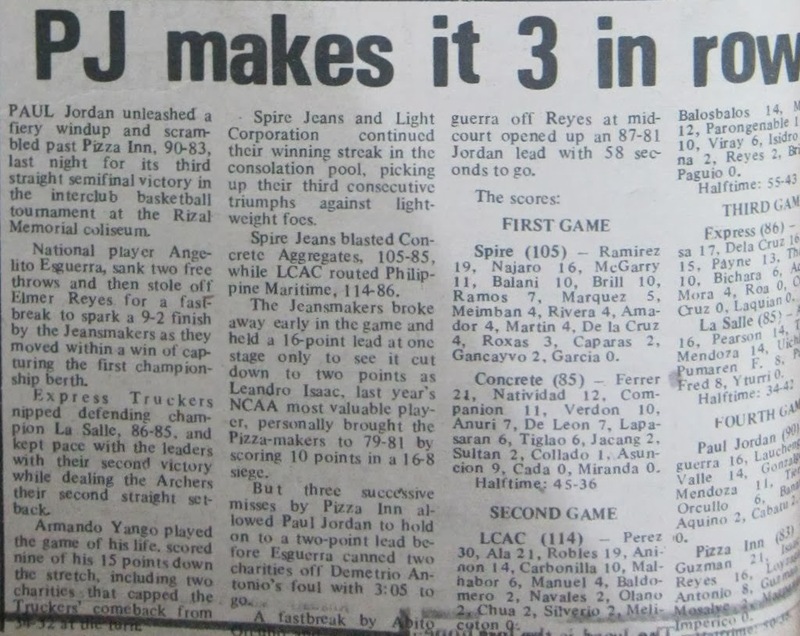 In the semifinal round which also ran the National Invitational with the entry of the visiting Milo Swiss, along with Talon and Group A qualifiers Masagana 99 and Arellano University, Paul Jordan went on to toppled Milo Swiss, 100-98; Talon, 91-88; Masagana, 108-94; and Arellano, 115-103. 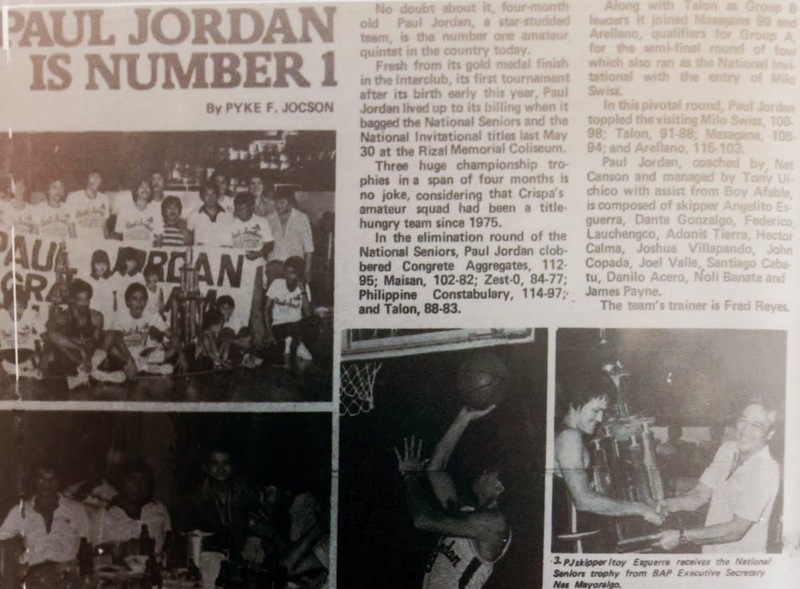 Paul Jordan wins the 1982 National Seniors and National Invitational titles. 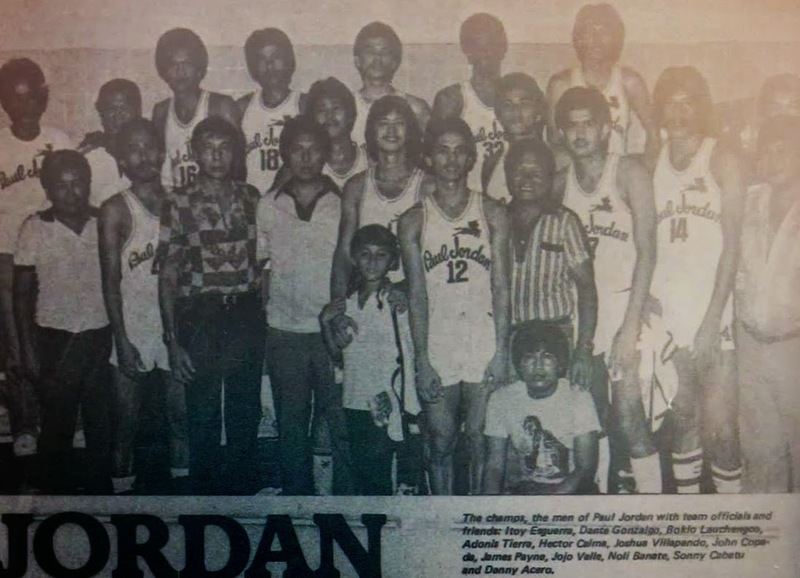 Paul Jordan in the 1982 Interclub basketball tournament. 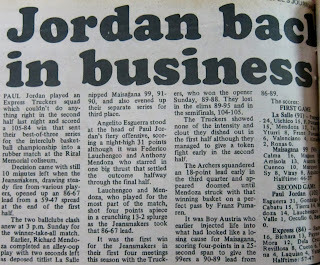 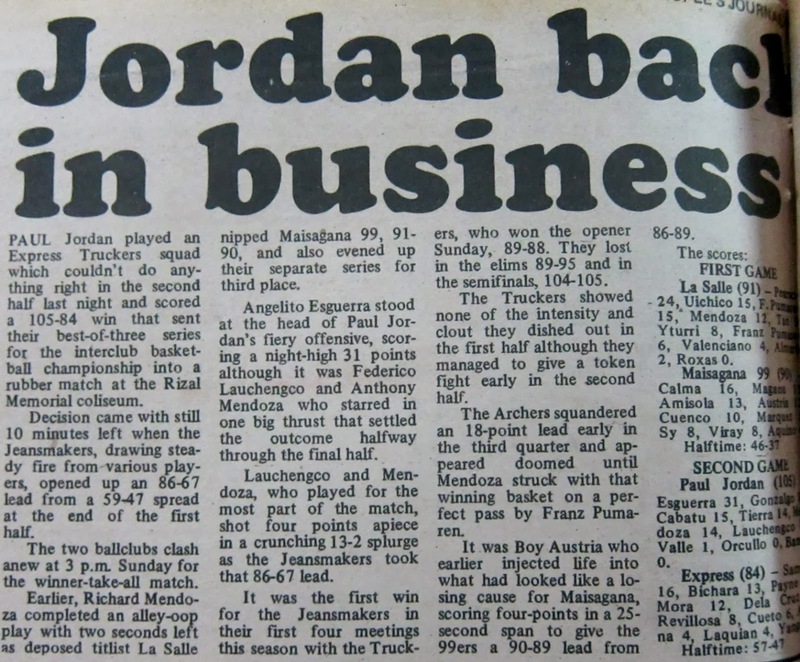 Paul Jordan eventually won the 1982 Regular Interclub basketball crown with an 85-83 victory over Express Truckers in the deciding third game of the best-of-three title series.